Microsoft is using the current build to try some new user interface features. Tap Ctrl-T in the new Store app, and you’ll switch from Windows usual bright light theme to a new dark look; ideal for browsing on a tablet. 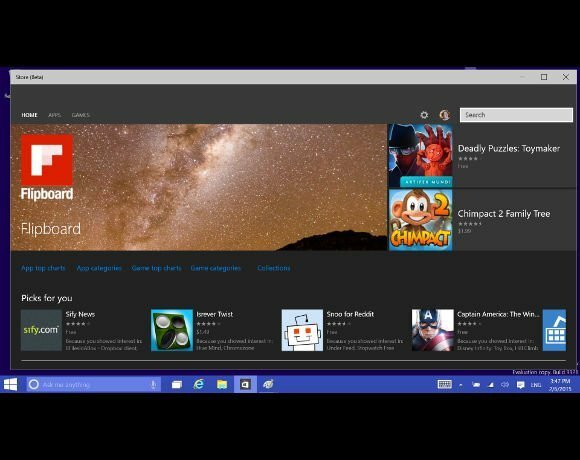 It’s certainly a new look for Windows, though currently doesn’t change the colour of the app’s menu bar. While a per-app theme works well, we’d also like the option of changing everything from light to dark at once, much like Windows Phone works today.